being little • bristol uk fashion & lifestyle blog. : green. Yesterday was a very green day! 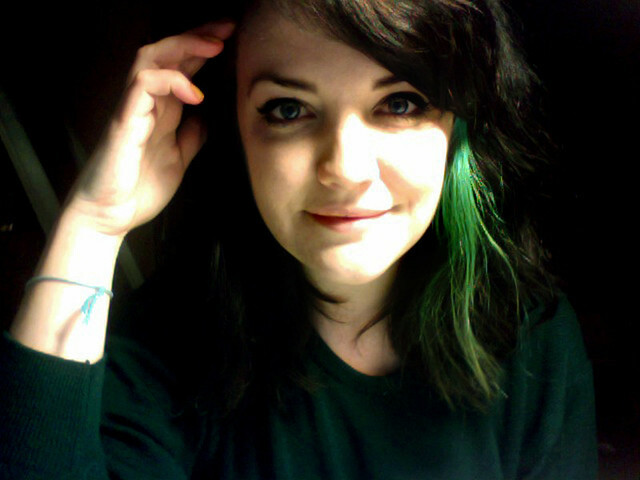 Green jumper, green hair, and a painting of a green hummingbird that I've been working on for my brother. Today we're all going to Mum's for lunch, and I'll give him the painting for his birthday! I hope he likes it. Rubbish photobooth photos sorry! 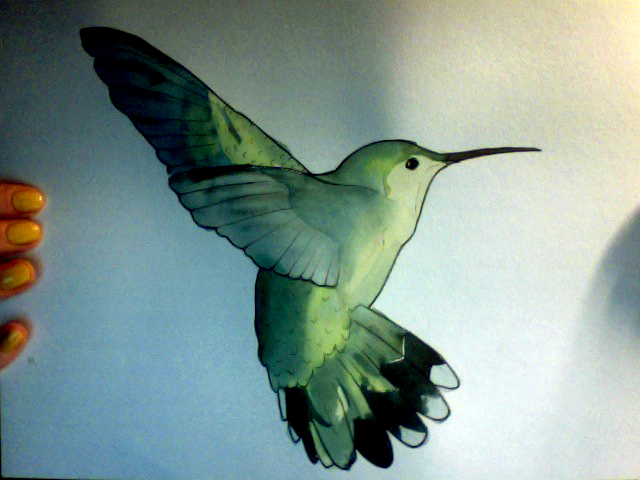 And the hummingbird is unfinished! Have a happy Sunday! Such a beautiful, delicate painting! You're very gifted. Oooh, what a beautiful painting! I'm sure your brother was happy with it. The green stroke in your hair looks really fun! Amazing picture! 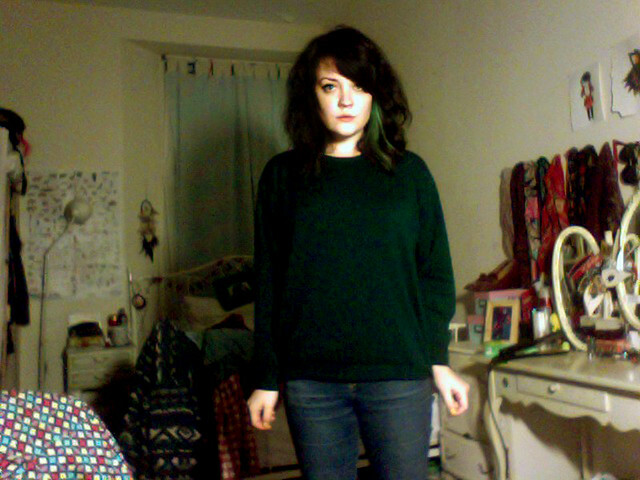 Liking your green jumper too! You look so beautiful, as does the humming bird! I lobe watercolours! The hummingbird looks amazing! Do you study anything artsy? i really love that picture, even unfinished it's beautifuull. i like the new colour in your hair, too. Such a gorgeous painting! & I love the green in your hair, it's really sweet. Lovely hummingbird! Reminds me i really need to get the ink out and do some drawing! That hummingbird is beautiful. And your hair, the way it's styled, looks great. Oh my word! That hummingbird is unreal! Obviously I don't know your brother but I'm pretty sure he's going to love it! You are so wonderfully talented! Love the green hair and wow, you're so artistic! The hummingbird is beautiful. Love all the greens, so lovely.